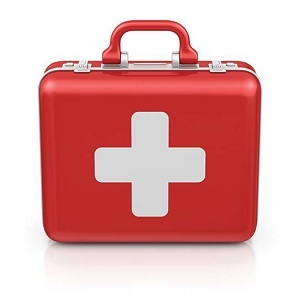 Are you prepared for unexpected medical emergencies at your event? Comfort and safety are keys to the success of any event. That’s why it’s important to consider an event’s first-aid requirements early in the planning process. A combination of factors will determine whether you need to book medical first responders (MFR). First: check the terms of your insurance plan or event permit, suggests Grant MacDonald, director of community services, national office, St. John Ambulance. Second: use common sense to assess the risks and try to anticipate the chances of minor (or worse) injuries during your event. It stands to reason that events involving intense physical activity will have a higher risk of injuries. Tough Mudder—whose obstacle course events are held throughout North America and involve anything from scaling mud pits to crawling between tangled rows of barbed wire—works with local contracted medical service providers. “We also work with industry safety experts—advanced life support providers, emergency medical technicians, paramedics, water rescue technicians and local medical and emergency response personnel—to continually review our obstacle designs, standard operating procedures and response capabilities,” says a Tough Mudder spokeswoman. Community, not-for-profit organizations, such as St. John Ambulance and Canadian Ski Patrol, provide on-site MFR services. St. John Ambulance does not charge a fee, but encourages donations ($400-600 for an eight-hour day) to offset the cost of supplies, transportation, volunteer training and other expenses. Several private, for-profit companies offer a menu of on-site services ranging from basic first aid to paramedic ambulance services. Costs vary and can reach as high as $200-plus per hour, MacDonald says. Contact the local paramedic service to see whether they offer on-site service, or are willing to add your event to that day’s roster of regular duties covered by local paramedics and ambulances. Some venues have a permanent first-aid room. If yours does not, ask your MFR to choose the best spot to set up their first-aid station. If your event involves multiple venues, locations or a wide area (like a golf course), consider multiple stations or extra MFRs who can patrol on bike or golf cart. TIP: Ask whether your MFRs are trained to recognize and stabilize mental health situations such as panic attacks or psychotic symptoms.